On February 9, the FDA sent out a number of warning letters to companies that make and sell products containing cannabidiol (CBD), a type of cannabinoid found in marijuana. Some of the products that the FDA tested contained no CBD in them at all. Even more troubling, many of the products claim to be treatments for serious diseases and suggest that patients go into remission once they take the CBD product. The FDA is concerned that patients may believe these claims and delay seeing a doctor and taking approved drugs with a proven track record. “The FDA is in the business of regulating claims. The mcaore claims you make the more scrutiny you’ll face,” said Seth Yakatan, Chief Executive Officer of Kalytera, a company that is creating a synthetic form of CBD. “Many of these products are claiming in their marketing and promotional materials that they are intended for the use in the diagnosis, cure, mitigation, treatment or prevention of diseases, including, for example: cancer, various infections, psychiatric disorders, multiple sclerosis, arthritis and diabetes,” said Michael Felberbaum, a spokesman at the U.S. Food and Drug Administration. The companies claim that they are dietary supplements. However, claiming a product should be used to treat cancer means it is a drug and not a diet supplement and therefore, must go through the standard drug trials and testing phases. For example, GW Pharmaceuticals has two substantial clinical investigations regarding the use of CBD. The products are Sativex and Epidiolex and GW Pharmaceuticals has spent millions of dollars testing their drugs on patients. “The companies receiving these warning letters were selected, in part, based on the egregiousness of the claims made about their products and the determination that inaction posed a potential risk to public health,” said Felberbaum. The FDA has an exception to this rule: If the products were marketed as a diet supplement prior to being tested as a drug they can continue to be sold as a supplement. Robert Hoban, a lawyer with Hoban & Feola, believes that CBD products fit within the FDA exception. 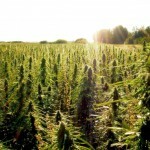 Hoban said that the CBD industry has provided substantial evidence indicating CBD was marketed and sold as a dietary supplement for many years. The FDA acknowledged the exception, but concluded that wasn’t the case for CBD. “The FDA is not aware of any evidence that would call into question its current conclusion that CBD products are excluded from the dietary supplement definition under section 201(ff)(3)(B)(ii) of the FD&C Act, but interested parties may present the agency with any evidence that has bearing on this issue,” said Felberbaum. “This is a very broad attack on the CBD industry,” said Hoban. He believes the warning letters are an effort to put the brakes on the CBD market. 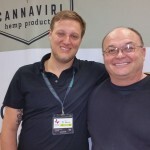 He also believes that there is a lack of understanding by the federal government about the CBD products even though the FDA has approved CBD drug trials for pharmaceutical companies like GW Pharmaceuticals. However, no one can argue that a company that is selling a CBD product that claims to reduce breast cancer tumors, but contains no CBD at all should be called out. That is why the FDA exists – to protect Americans from companies selling bogus products. 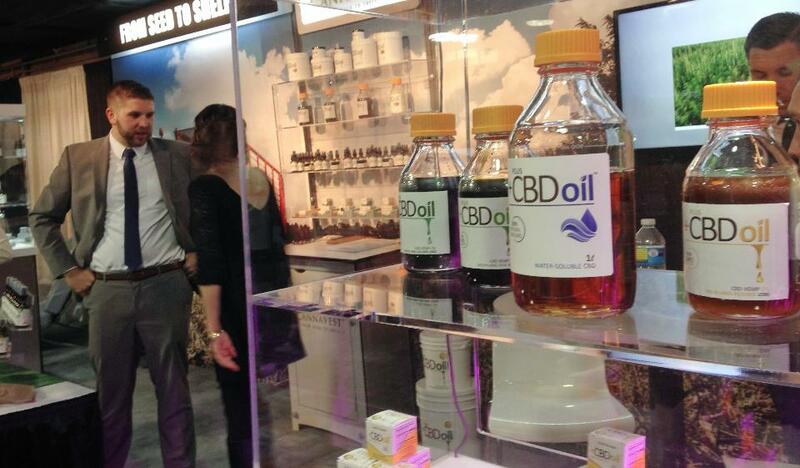 “These folks selling CBD in this format are trying to make money,” said Seth Yakatan. “Good for them, but if they get caught with their hand in the cookie jar they shouldn’t be surprised.” He said the FDA’s move doesn’t help or hurt his company. There are CBD products that continue to be sold. In order to remain on the good side of the FDA, they have reduced their claims and provide little information regarding their products. However, this creates another problem. If a consumer feels there is a legitimate use for a company’s CBD product, they can buy it but then they have no idea how much to take or how best to take it. There aren’t many doctors that can guide them either. The products vary by strengths and in what forms to take. There is little standardization and it’s completely confusing to the consumer. Also, the CBD companies can’t have it both ways. They can’t claim their product can reduce stage 4 cancer tumors and cite medical studies (unrelated to their specific product) to back up their claim and then step back and say it is not a drug, but instead a dietary supplement. While some in the CBD community felt the warning letters were an attack on the product because it is related to cannabis, it should be looked at as a positive since the FDA is weeding out bad players. “The federal government is supportive of scientific research into the medical uses of marijuana and its constituents, through scientifically valid investigations as part of the FDA’s drug review and approval process,” said Felberbaum. The companies were told in the letters they had 15 days t notify the FDA of the steps they have taken in order to correct the violations. No consumer should be sold an expensive product that claims to have CBD, but then has none whatsoever. Consumers should also get truthful information on the products they buy, i.e. the labels need to be correct. 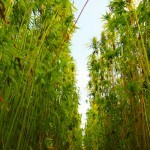 “The best conservative practices would dictate a pause in sales and production until the issue is resolved,” said Hoban.